Activate passwords and hints: Easy2Sync can display a text if certain program functions (like editing a task) are used and also require a password for these functions. Delete to "Deleted Items" folder: If activated, deleted items will no be deleted by the sync on the other side, but moved in to the "Deleted Items" folder instead. 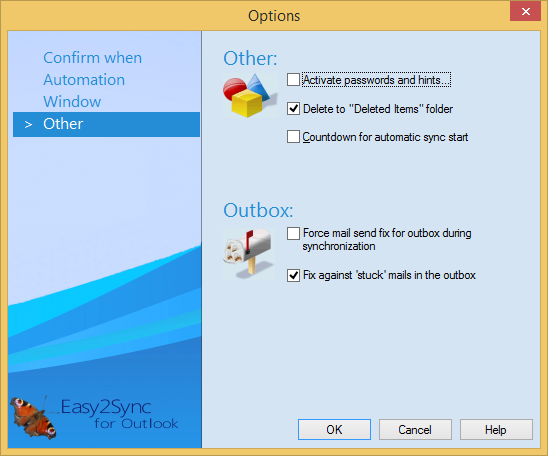 Countdown for automatic sync start: Easy2Sync can display a countdown, so you have the option to cancel the execution of the task.